First Arduino sensor testing with temperature, humidity, gas and light detection (photoresistor included in the arduino starter kit). Pretty easy setup for serial printing in the debugging window. The only libary in use is the DHT11 Libary for DHT11 and DHT22 Sensors. Basic understanding of the standard Arduino TFT and SPI libraries. In this case showing the temperature value from the DHT11 sensor. Basic understanding of the Arduino WiFi Features in client mode. Collecting data and storing into a MySQL-Database for science. Outputing data by using google chart api. Note: Unfortunately the only Arduino IDE working with the official WiFi Shield is 1.0.2! Read the Arduino WiFi Documentation and understand which pins can be used. Starker Auftritt Berlin is a contact website for people interested in motivational training. The GPE IT System is the online system for students, lecturers and admins. It is possible to enroll to courses, see your schedule and much more. On high-fly.de you can book flights and much more. 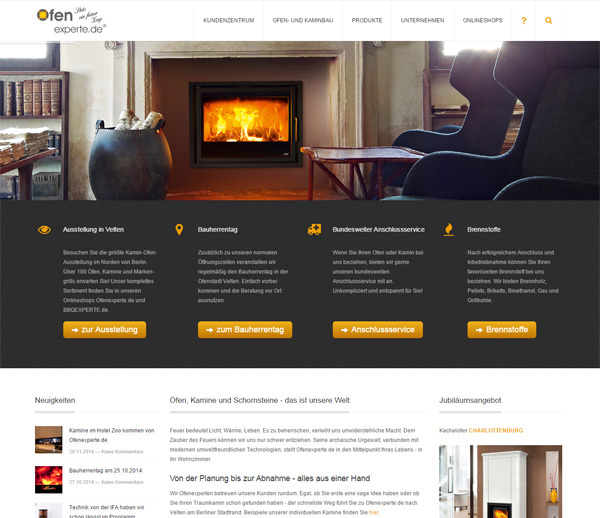 Indien-vom-feinsten.de is a website specialised in journeys to india. Reise-nach-thailand.de is a website specialised in journeys to Thailand. This is not the actual online-shop but a collection of information about the company, it's services and employees. ISO Ladde is just ISO Ladde xD. Enoiteca Il Calice is one of the best winerestaurants in Berlin. Very good food and extraordinary wines. 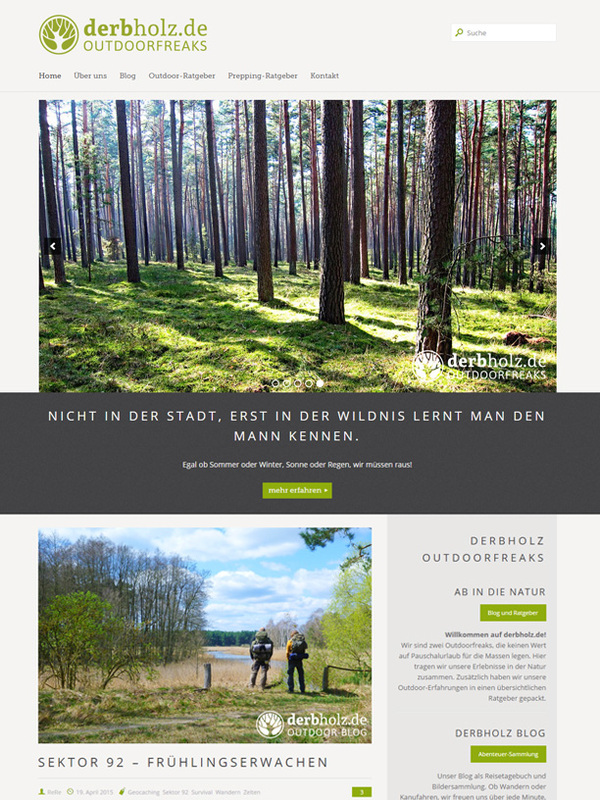 Derbholz.de is my personal outdoor-blog. I started this project in february 2015 to get a collection of our awesome outdoor adventures. 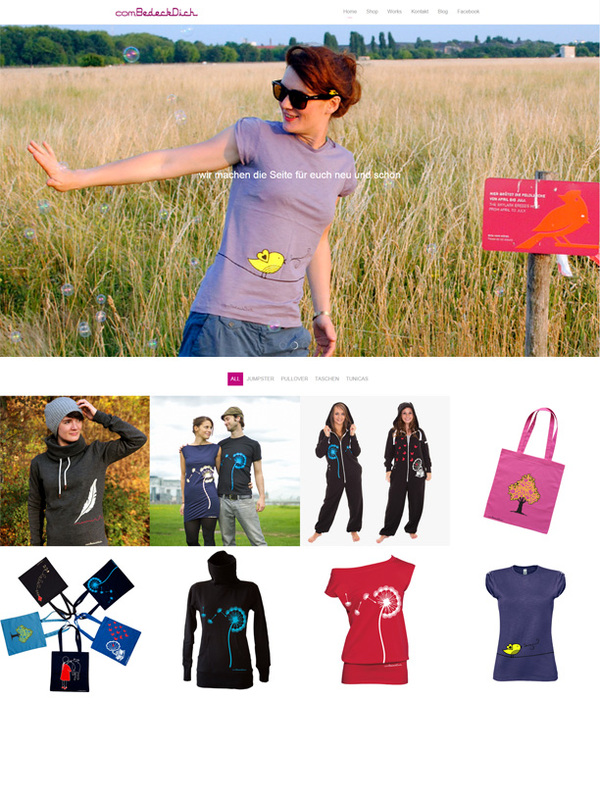 bedeckdich.com is a small independent clothing company located in Berlin. You can find them on almost any sunday in the Mauerpark Berlin or on dawanda. 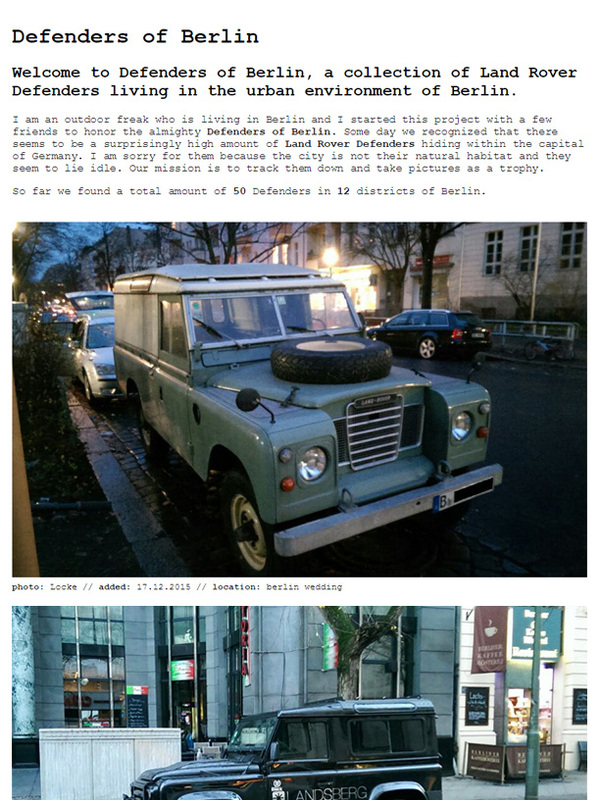 defenders-of-berlin.de is a small side project to test html5 and it's responsive capabilities. I tried to make it as clean as possible and due to it's few html markup elements the website loads pretty fast. Even with an edge mobile connection you will be able to get the contents without waiting. 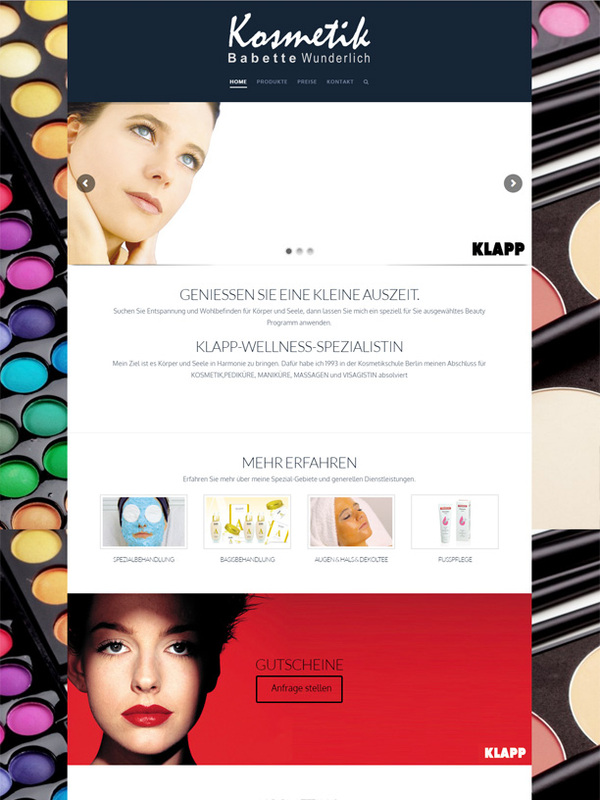 kosmetik-wunderlich.de is the webside of a professional makeup and wellness business in Hohen Neuendorf near Berlin.